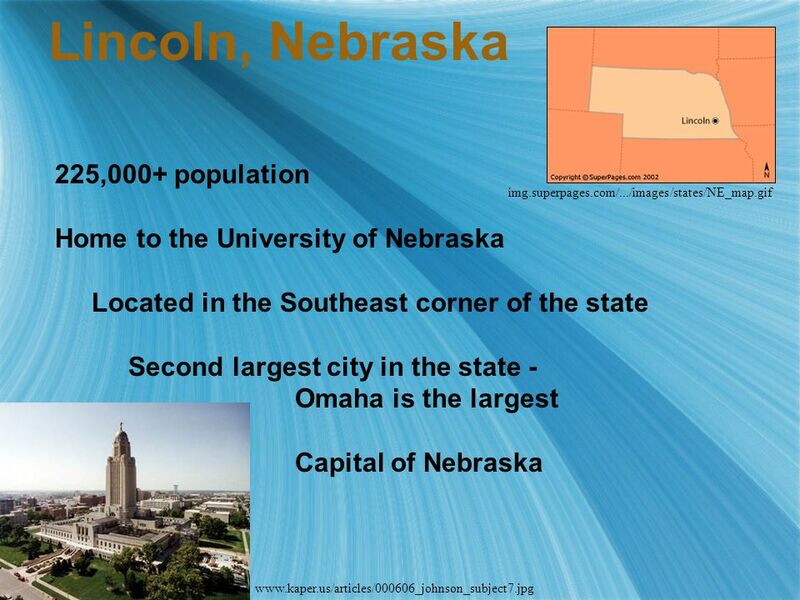 3 Lincoln Public Schools 31,000+ students 5,000+ staff 52 buildings (36 elementary, 10 m.s., 6 h.s.) 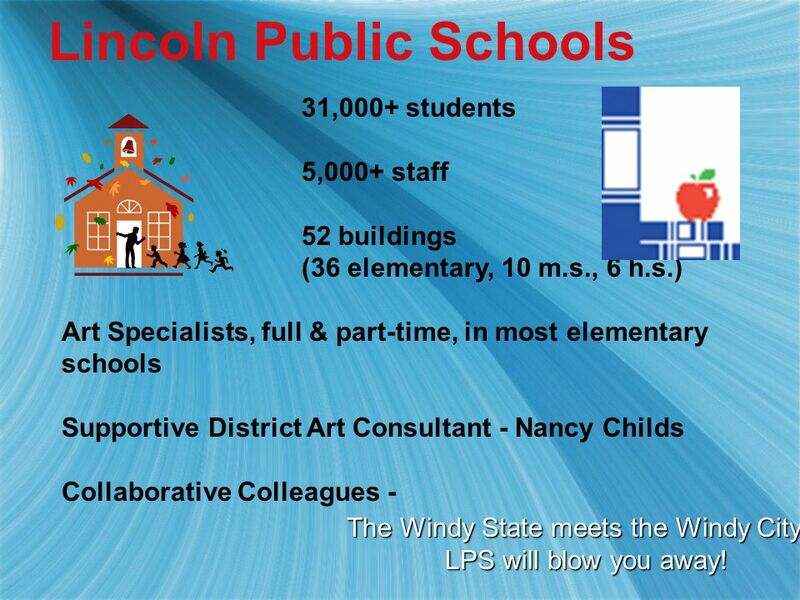 Art Specialists, full & part-time, in most elementary schools Supportive District Art Consultant - Nancy Childs Collaborative Colleagues - The Windy State meets the Windy City… LPS will blow you away! 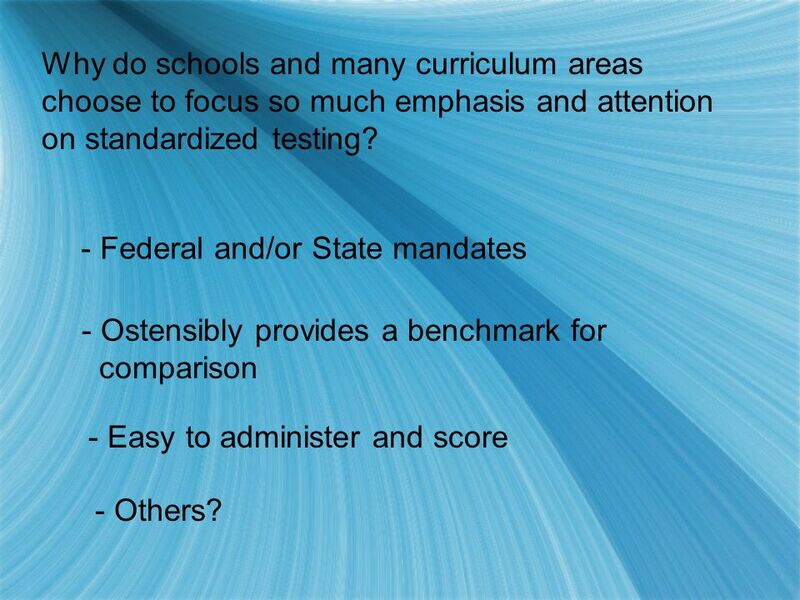 6 Why do schools and many curriculum areas choose to focus so much emphasis and attention on standardized testing? 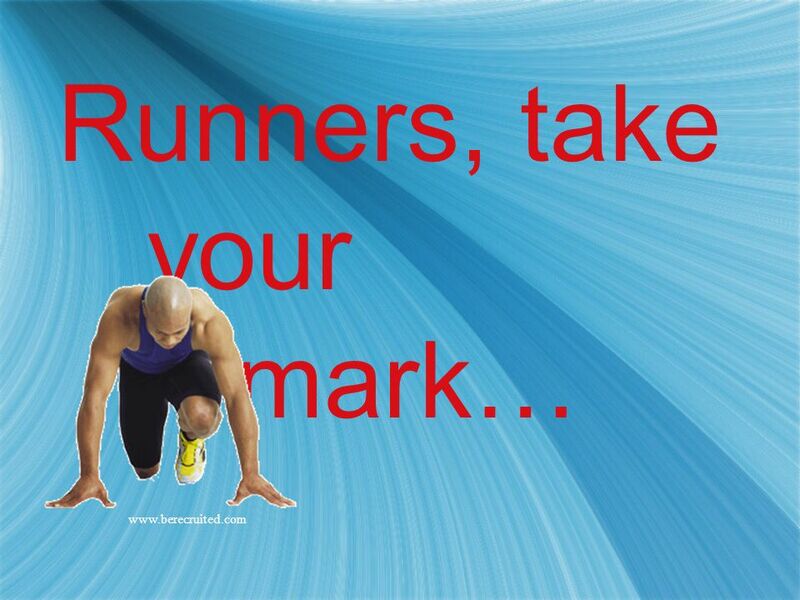 - Federal and/or State mandates - Easy to administer and score - Ostensibly provides a benchmark for comparison - Others? 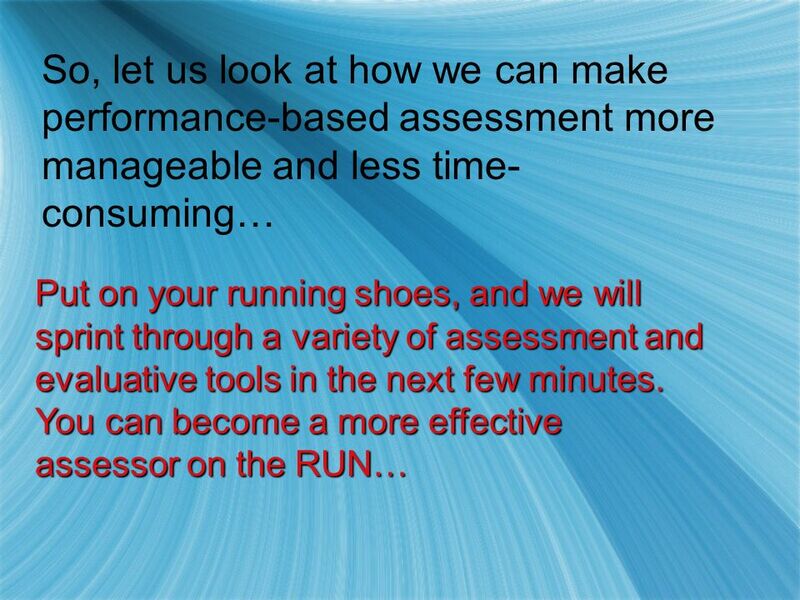 7 Why is performance-based assessment not more- widely utilized in the education field? 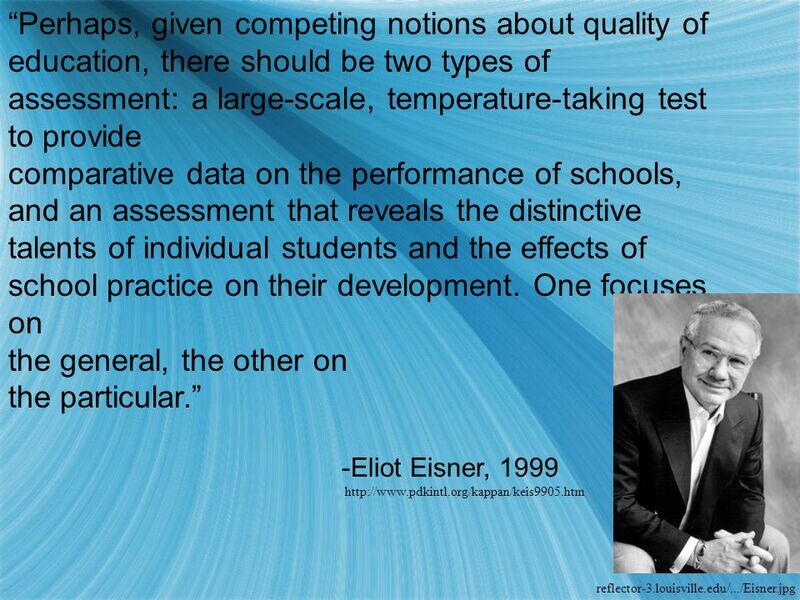 - More difficult to develop assessments TIME-CONSUMING!!! - TIME-CONSUMING!!! - Teachers not trained in this area - Others? 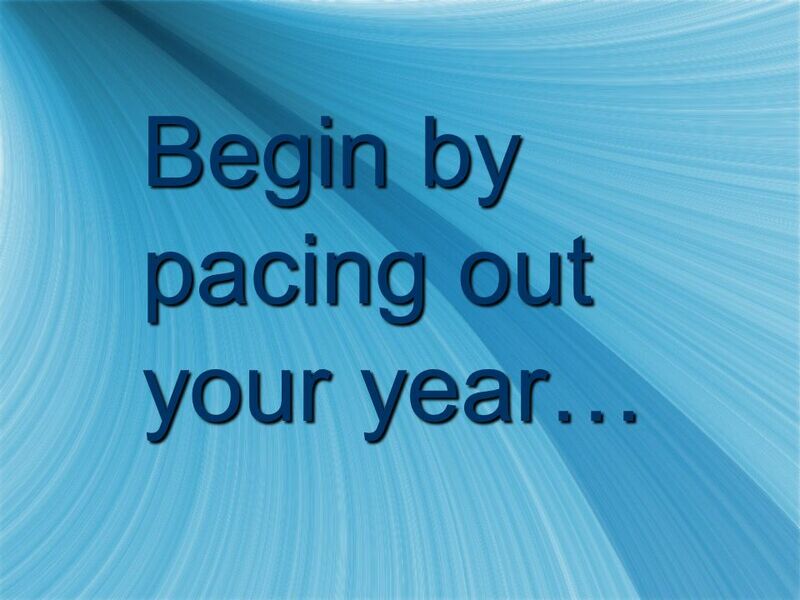 11 My organization for assessment starts at the beginning of the year with a pacing chart for each grade level. 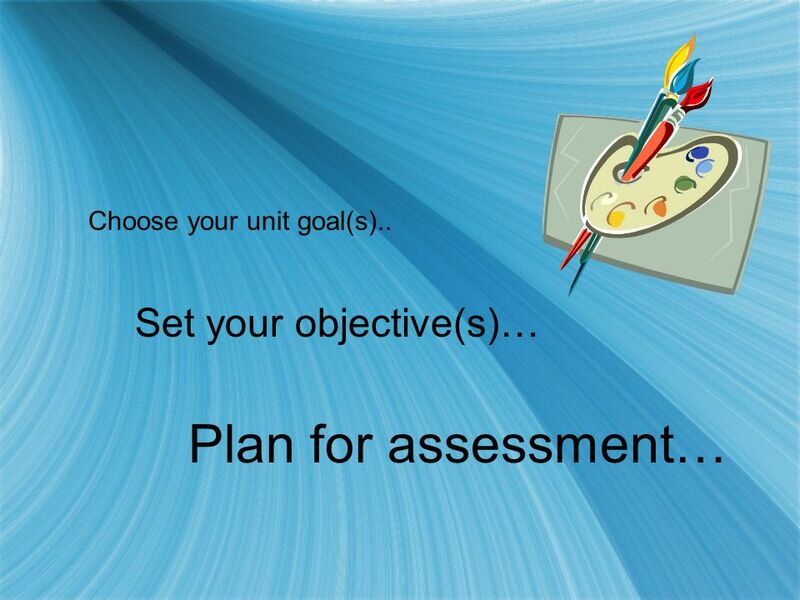 This is a working plan that helps me to be accountable for curriculum and assessment. 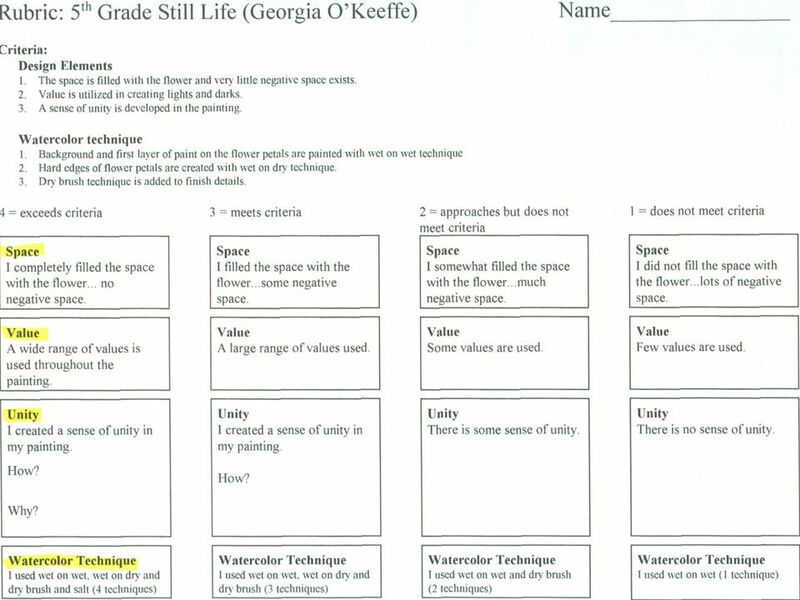 14 Develop record-keeping that fits your style… It is imperative that teachers document information, however, how you choose to do that task is your decision. 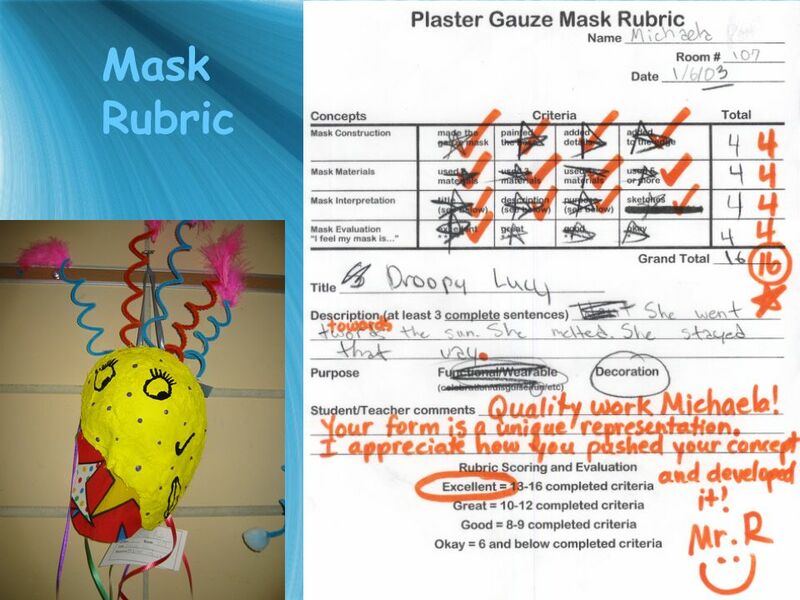 15 I use a system in assessing students work and effort which correlates with our Standards-based report card. 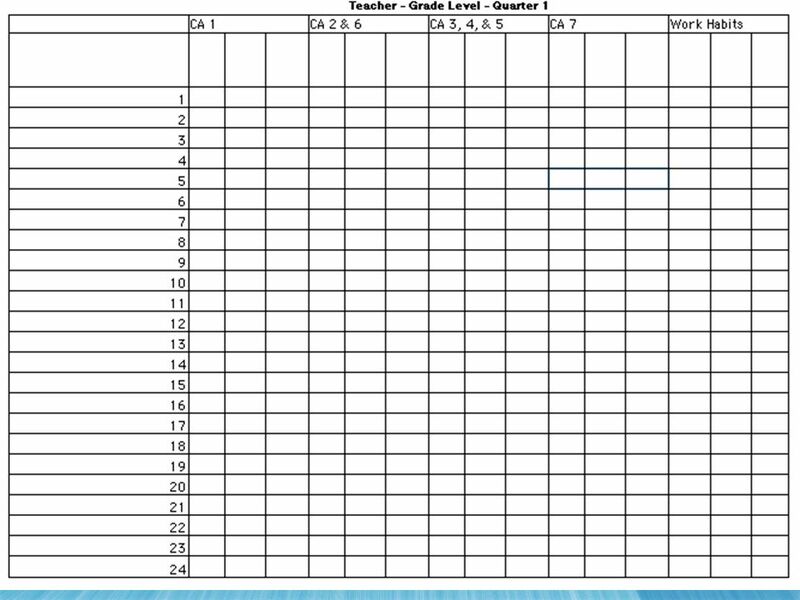 I use a grade sheet attached to a clipboard. 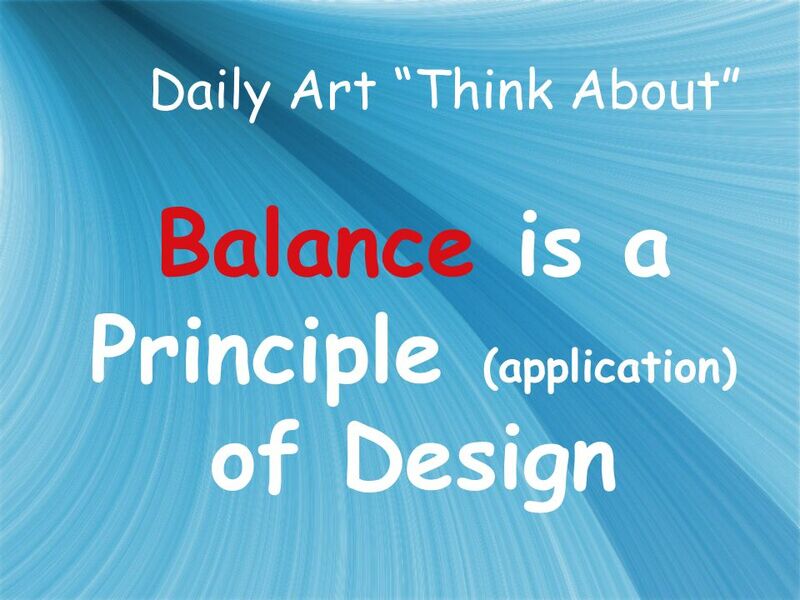 What I assess is determined by my objective(s) for that day. 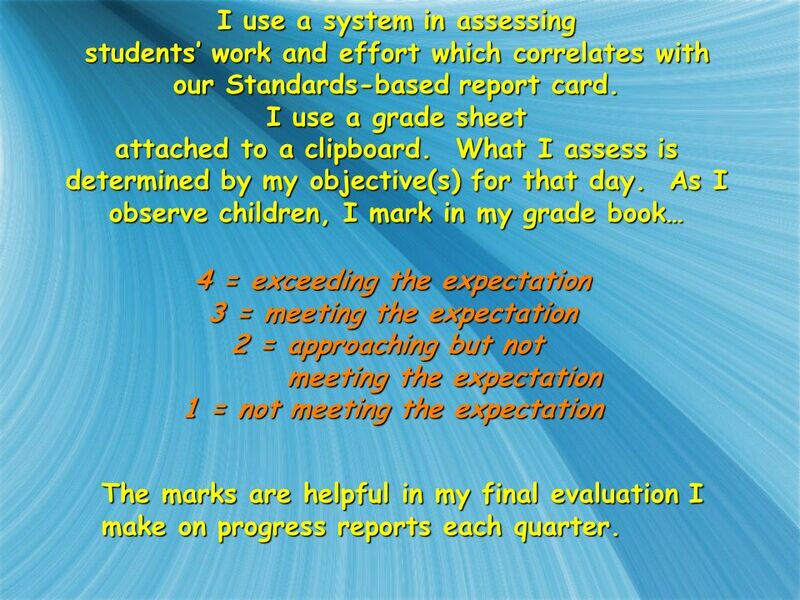 As I observe children, I mark in my grade book… 4 = exceeding the expectation 3 = meeting the expectation 2 = approaching but not meeting the expectation meeting the expectation 1 = not meeting the expectation The marks are helpful in my final evaluation I make on progress reports each quarter. 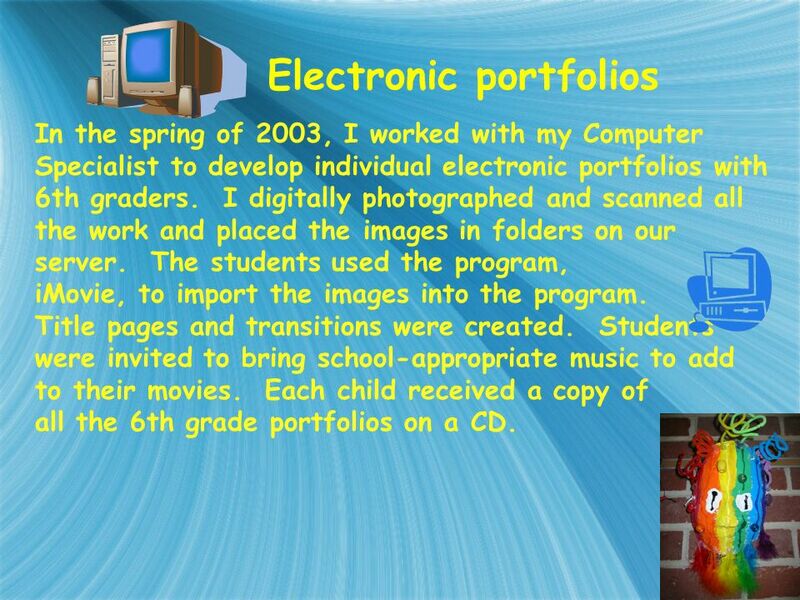 18 Electronic portfolios In the spring of 2003, I worked with my Computer Specialist to develop individual electronic portfolios with 6th graders. I digitally photographed and scanned all the work and placed the images in folders on our server. 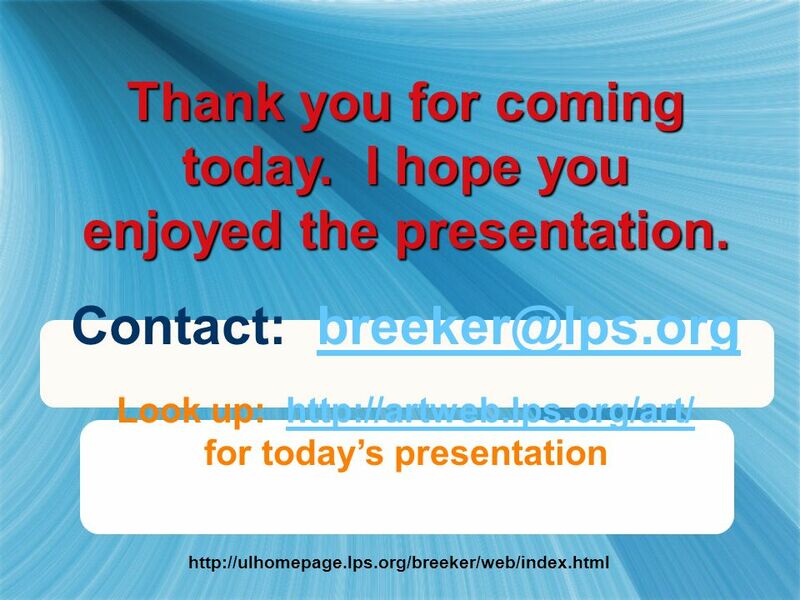 The students used the program, iMovie, to import the images into the program. 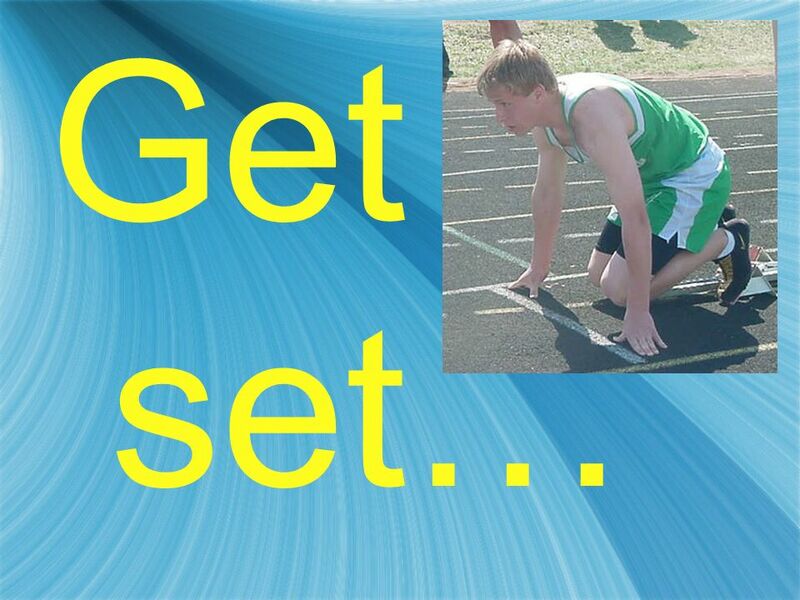 Title pages and transitions were created. Students were invited to bring school-appropriate music to add to their movies. 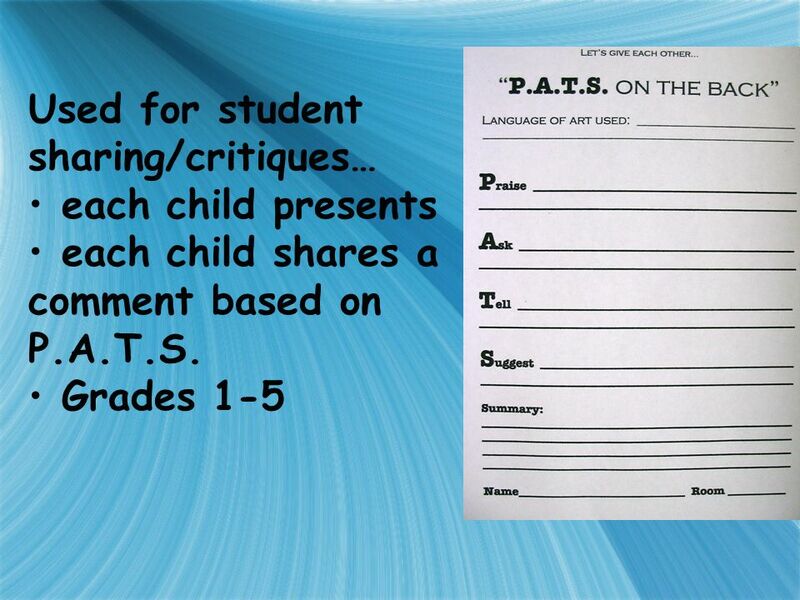 Each child received a copy of all the 6th grade portfolios on a CD. 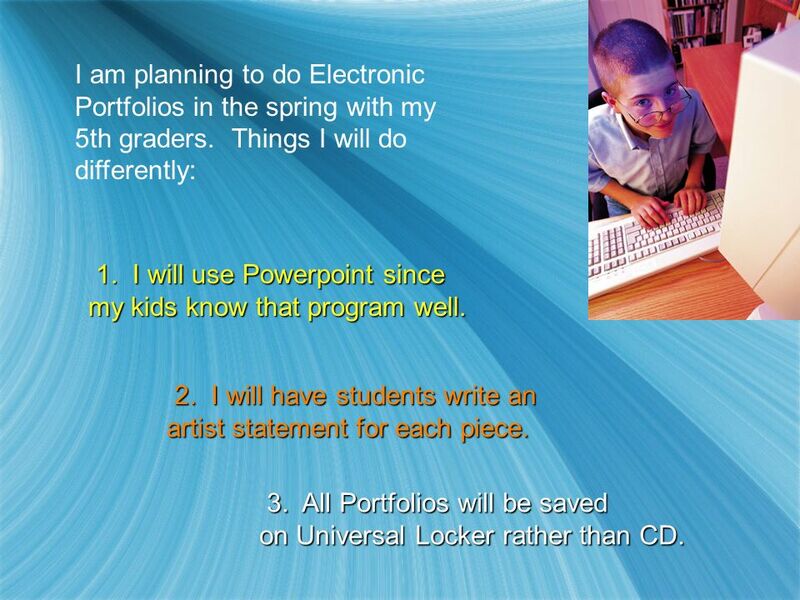 19 I am planning to do Electronic Portfolios in the spring with my 5th graders. Things I will do differently: 1. 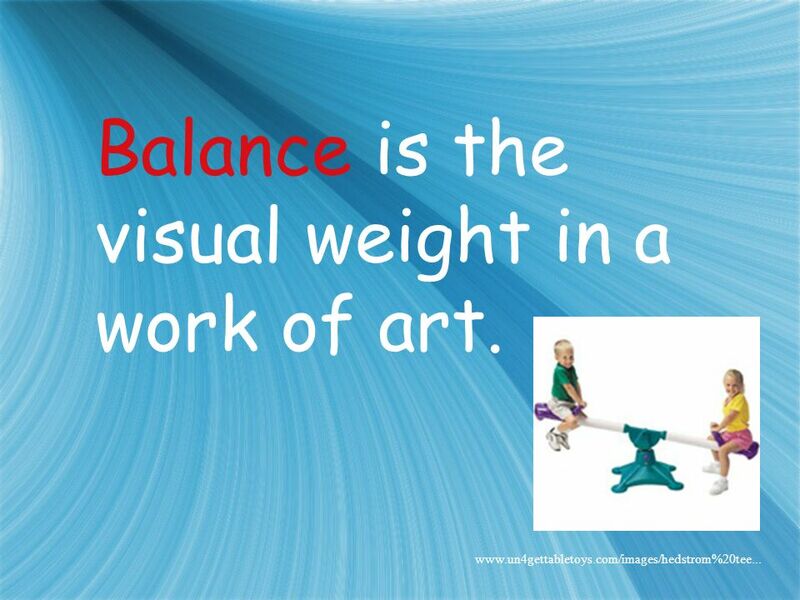 I will use Powerpoint since my kids know that program well. 2. I will have students write an 2. 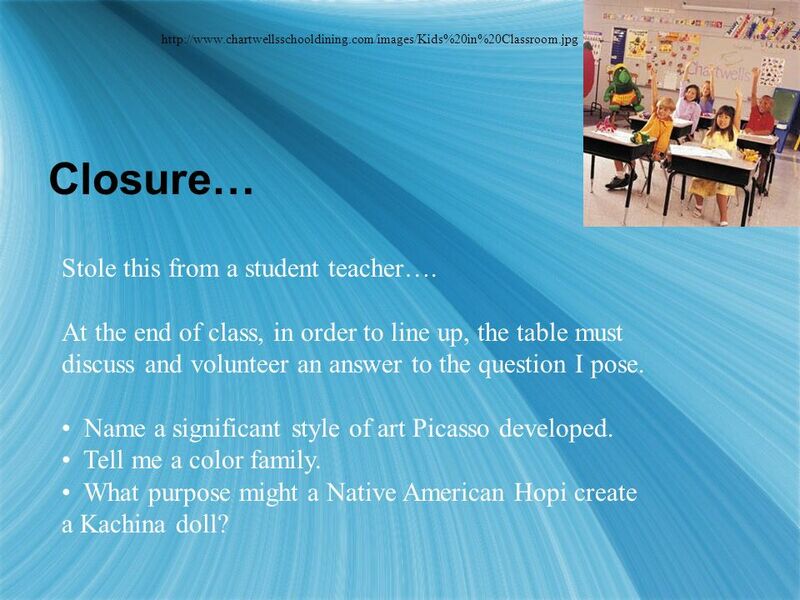 I will have students write an artist statement for each piece. 3 33 3. 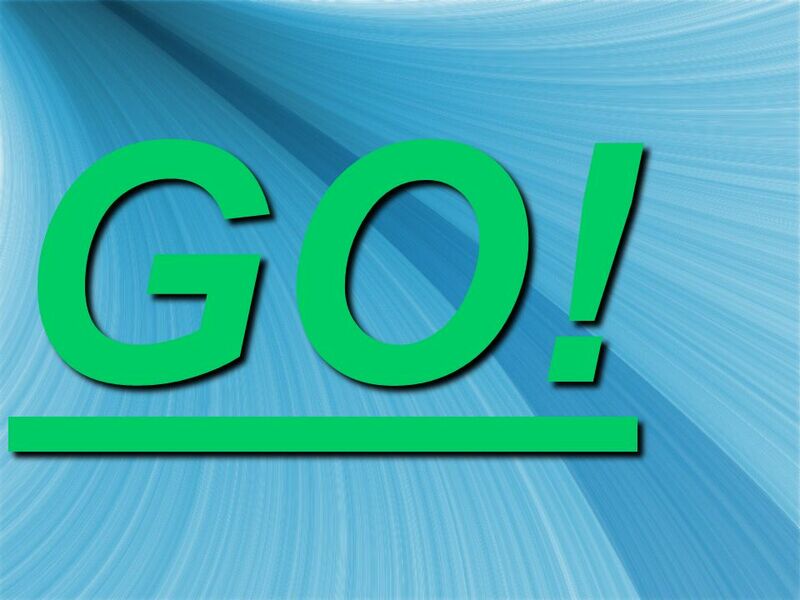 All Portfolios will be saved on Universal Locker rather than CD. 20 3200 Meter Assessment This assessment can be rather teacher intensive but with training, students really respond well to this type of assessment. 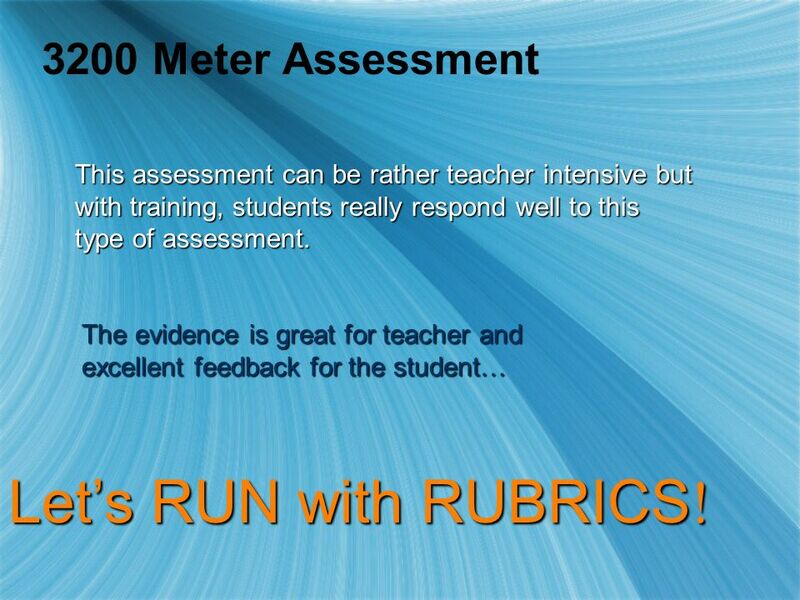 The evidence is great for teacher and excellent feedback for the student… Lets RUN with RUBRICS ! 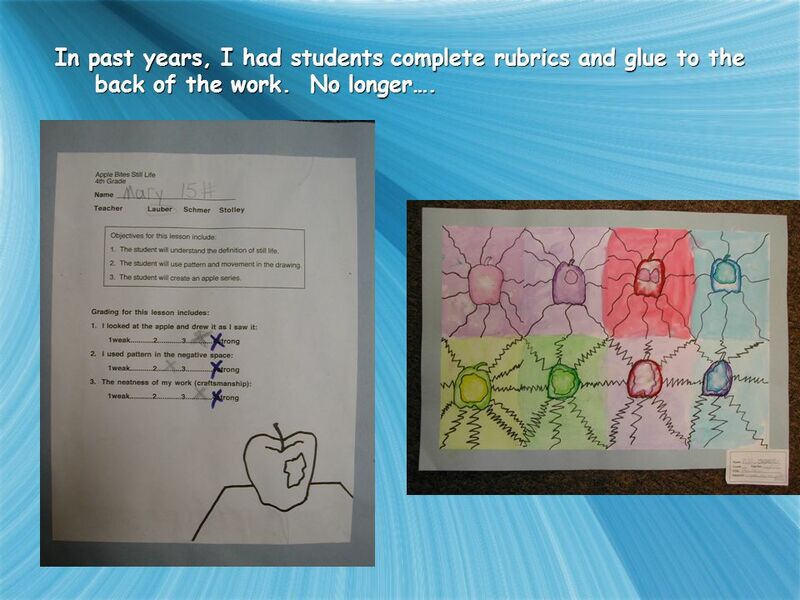 23 In past years, I had students complete rubrics and glue to the back of the work. No longer…. 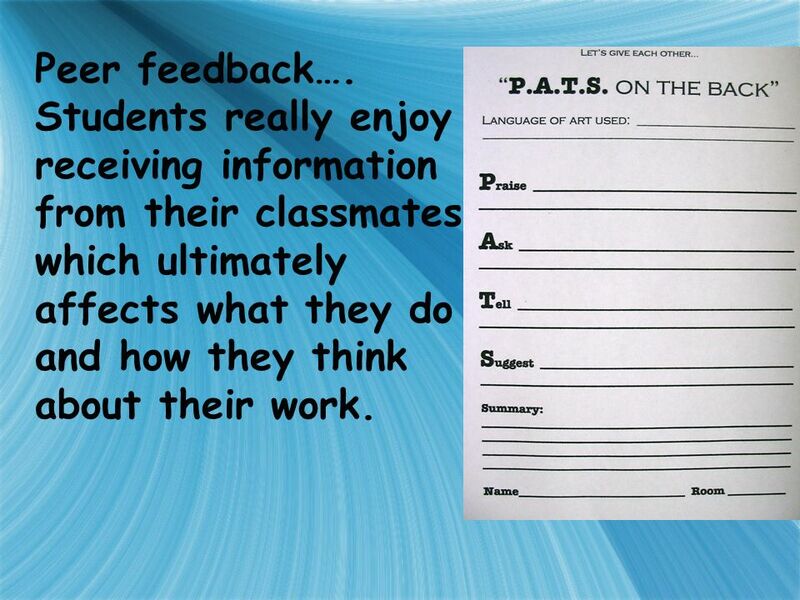 25 Peer feedback…. Students really enjoy receiving information from their classmates which ultimately affects what they do and how they think about their work. 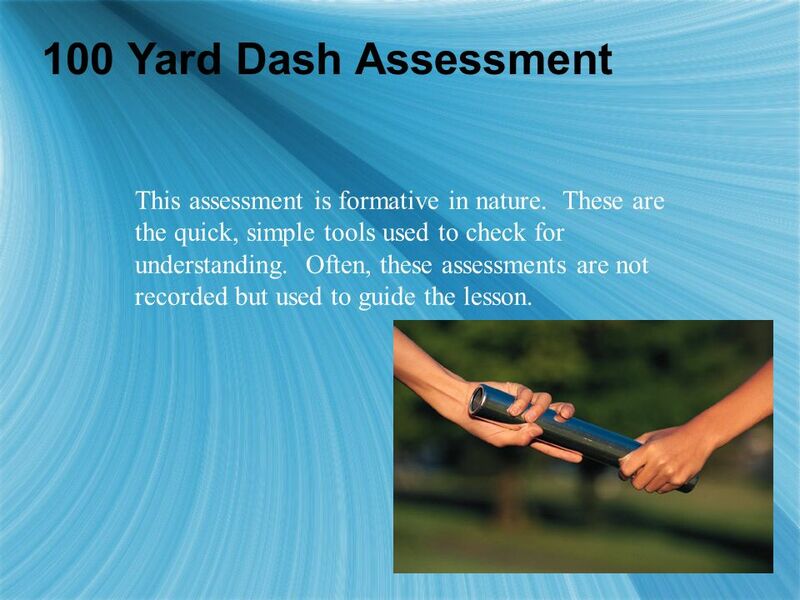 29 100 Yard Dash Assessment This assessment is formative in nature. 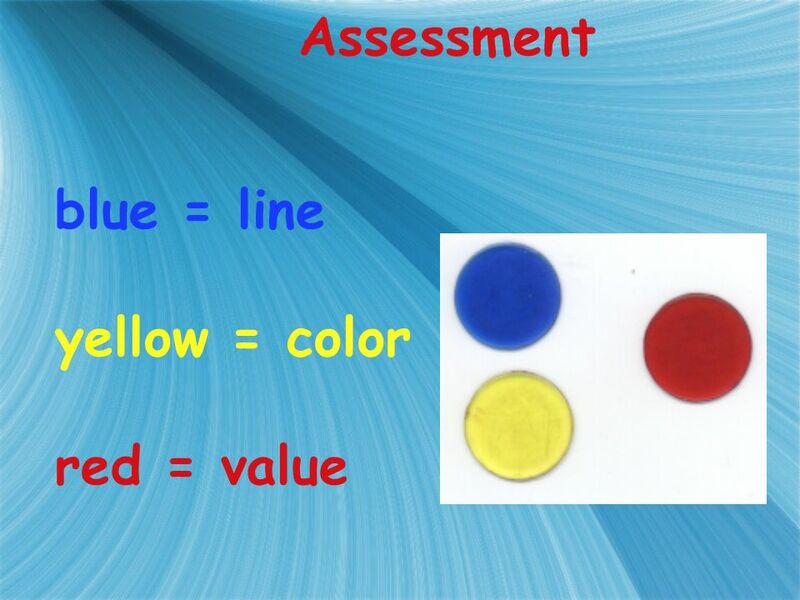 These are the quick, simple tools used to check for understanding. 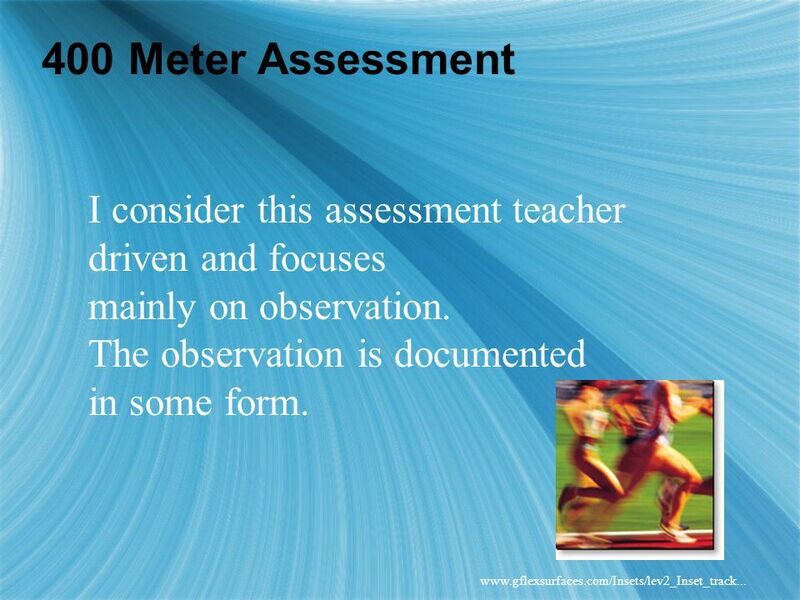 Often, these assessments are not recorded but used to guide the lesson. 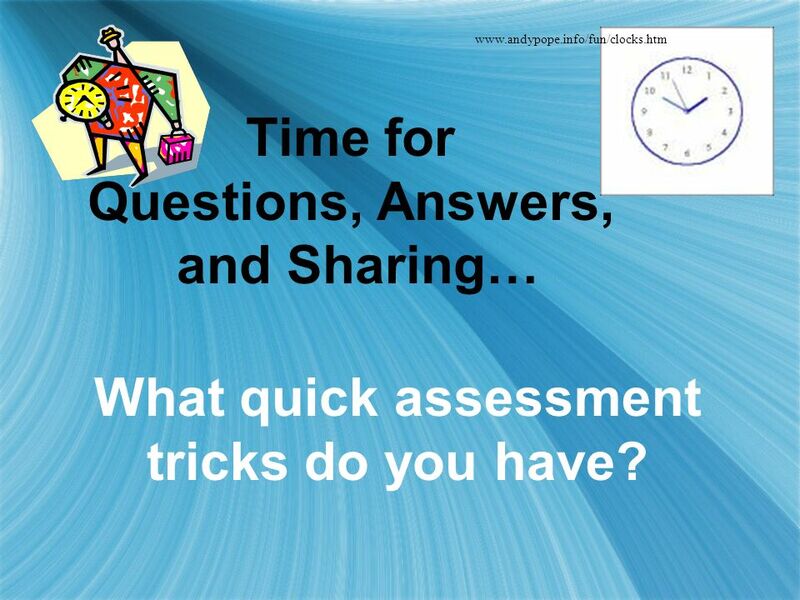 30 Questioning… Questions are developed to get both individual and group feedback. Students often use thumbs up or down to agree or disagree. 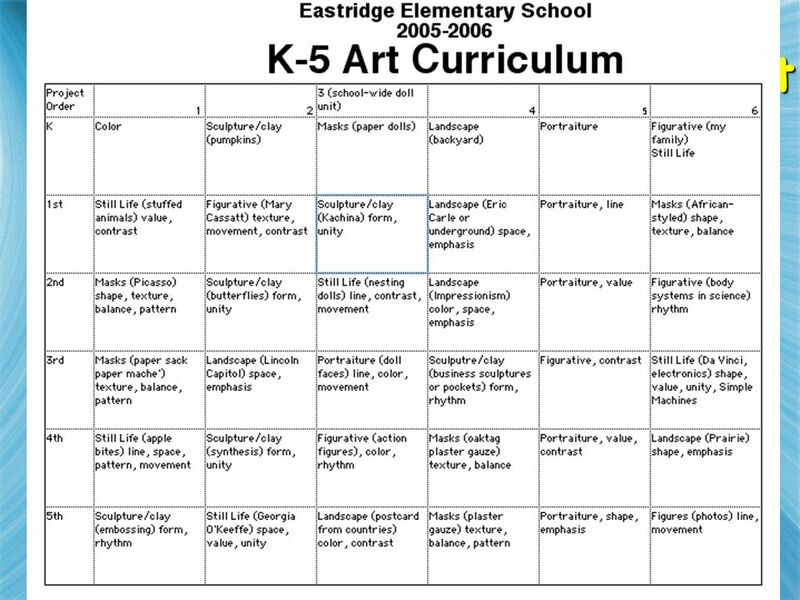 Students can rank or rate based on a 1-5 finger count. 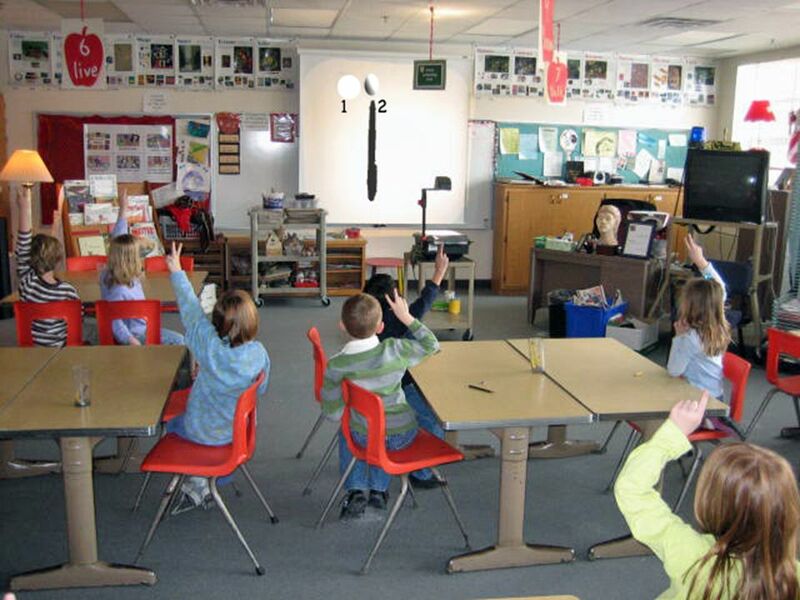 Or questions can be phrased with 1, 2, or 3 choices with students holding up the # finger accordingly. 35 1. Symmetrical 2. Asymmetrical 3. 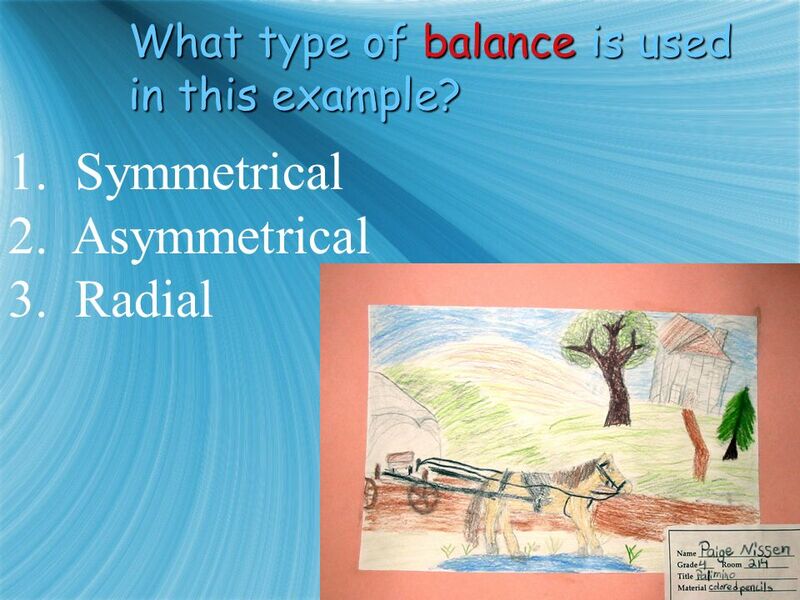 Radial What type of balance is used in this example? 36 Walkarounds All work is laid out, usually 1/2 to 2/3 the way through the unit. 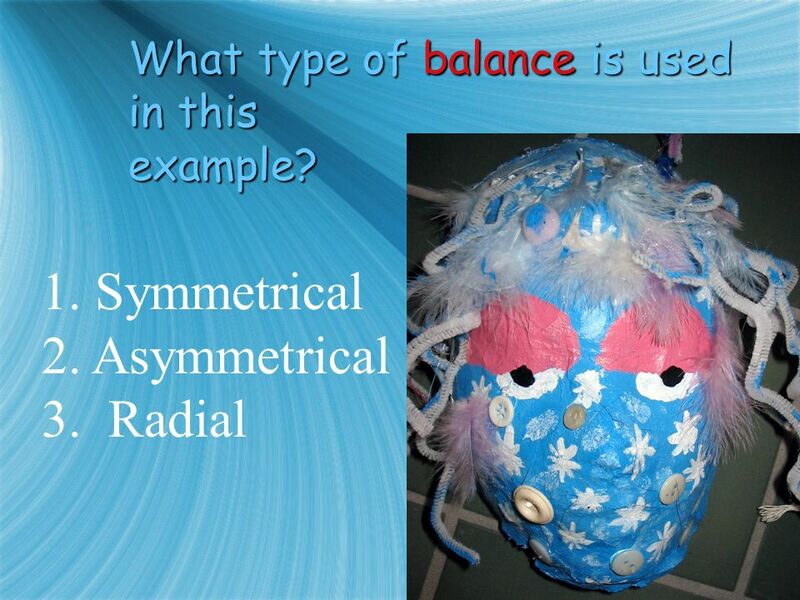 Students walk around and observe each piece. 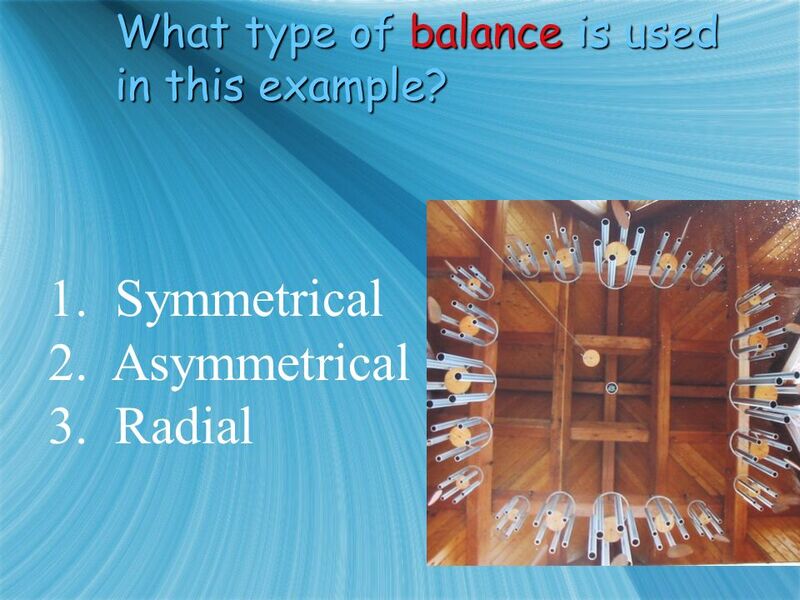 Criteria for what to look for may be written on the overhead. 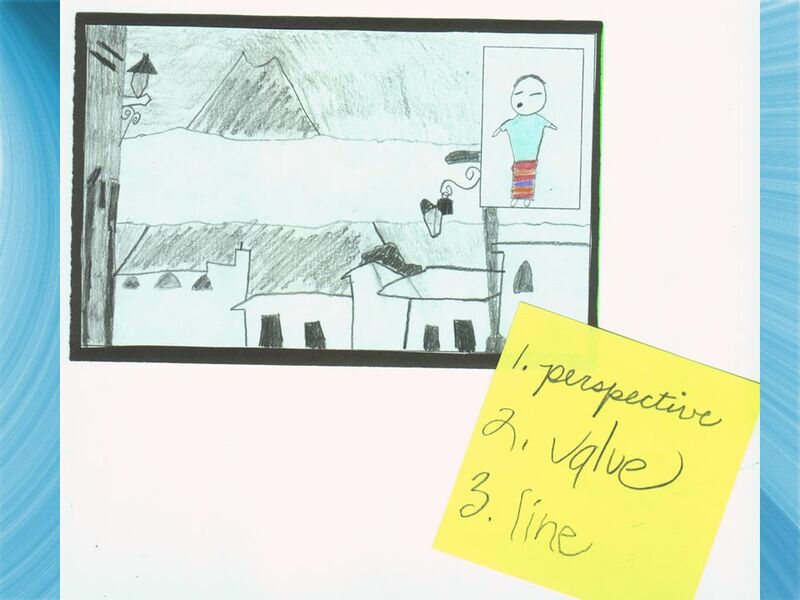 When done observing (and I do it with them to model), students discuss with me and the group what they saw. 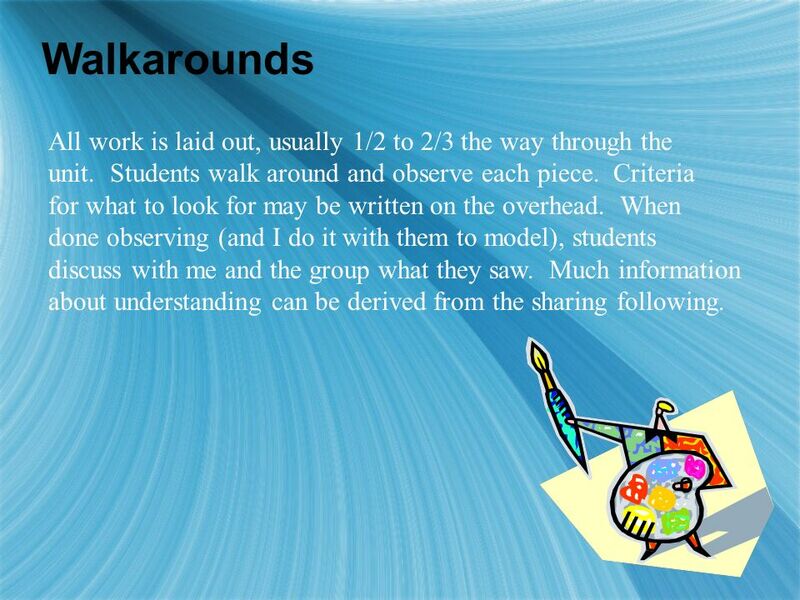 Much information about understanding can be derived from the sharing following. 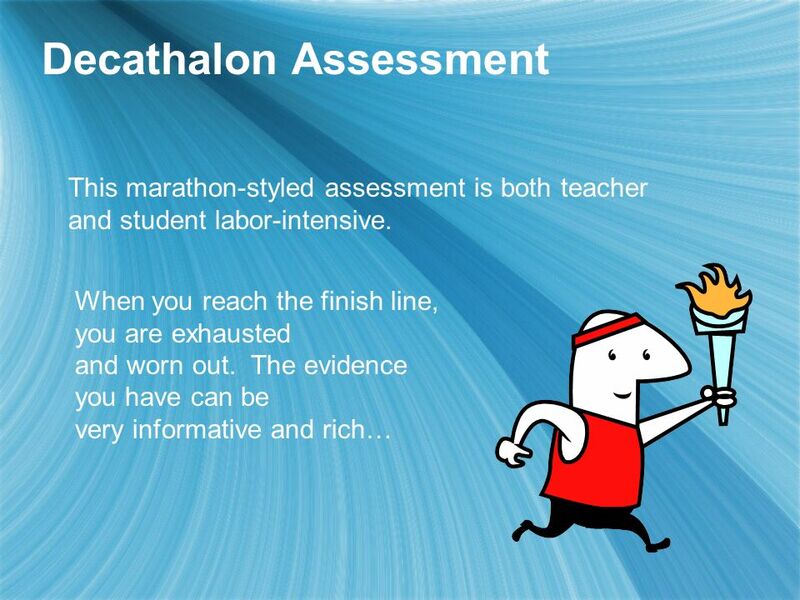 Download ppt "Assessing on the RUN! 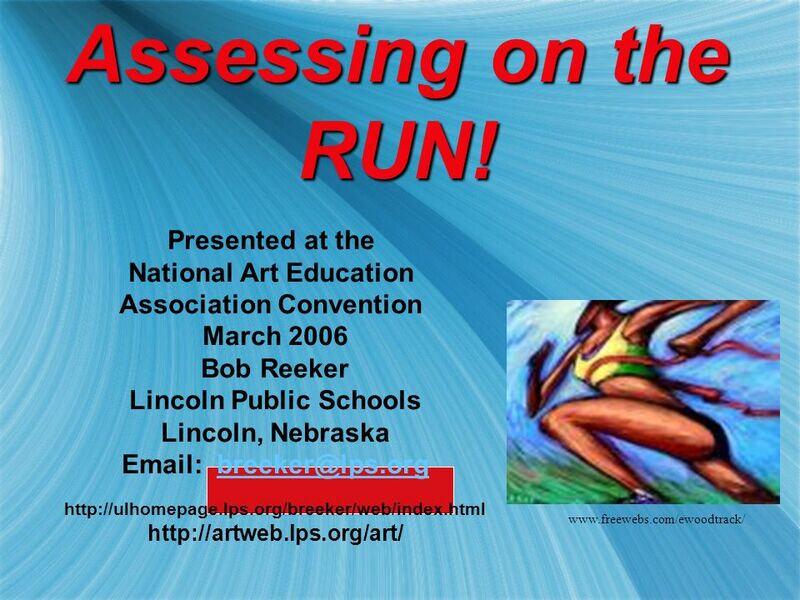 Presented at the National Art Education Association Convention March 2006 Bob Reeker Lincoln Public Schools Lincoln, Nebraska Email:"
CQU Portal Task Experience IV Putting it all together. Desiree Gumm Teaching for 6 years in the Meridian School District Currently teaching 6 th grade at Eagle Middle School Over the past 5 years I have used. The Course Portfolio Danielle Mihram, Director Center for Excellence in Teaching University of Southern California. 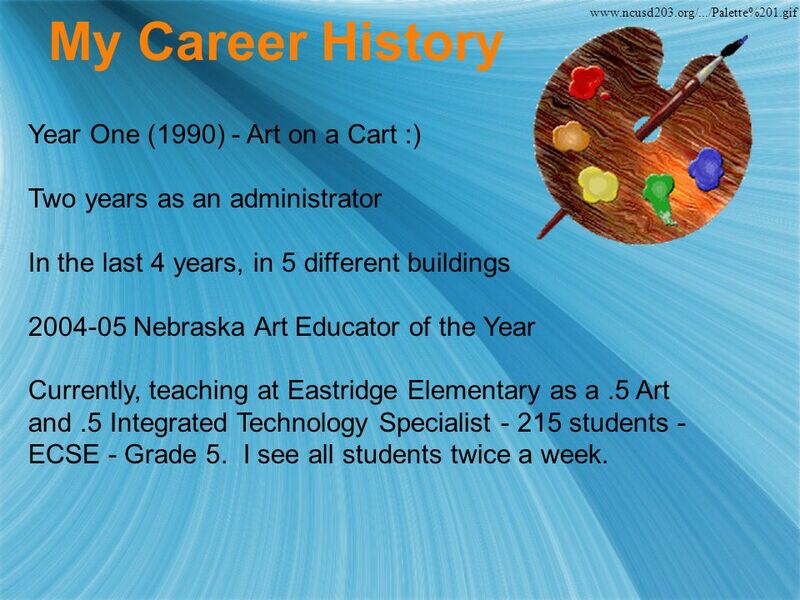 An Assessment Toolkit for The Novice Art Teacher Emily Adams, DeAnn Hansich, & Julie Ryan Omaha Public Schools Omaha, NE. Description At My Studiyo you can create interactive quiz content for your website or blog quickly and easily. VETERANS OF FOREIGN WARS AND NORTHWOOD 7 TH GRADE Patriot’s Pen Essay Contest. Arkansas Department of Education Literature Circles Mid-Level and High School. Operations and Algebraic Thinking: Addition and Subtraction.